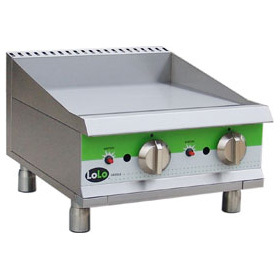 LoLo LG24TPF – Gas Griddle – 24.5″ Wide – Thermostat Control (1″ Steel Plate – 2 Controls – 60,000 Btu) – A1 Restaurant Equipment Inc.
LoLo LG24TPF is a countertop gas griddle with heavy-duty stainless steel construction and adjustable 4″ high legs. The ground and polished cooktop is a full 20″ deep and is 1″ thick. 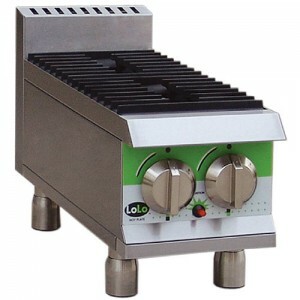 This gas griddle has stainless steel U-shaped burners for even heating and delivers 210º to 570º F cooking temperatures. 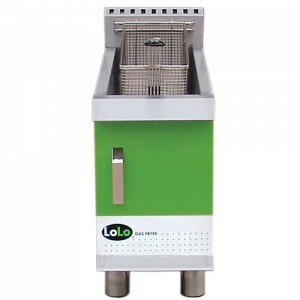 LoLo LG24TPF features dual ignition via piezo lighter or match to standing pilot. A rear 4″ splash is with tapered sides is included. A built-in 3-3/4″ wide front trough directs grease into a large capacity removable drip tray. 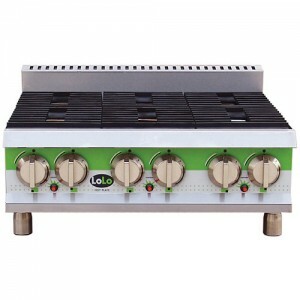 This griddle offers accurate thermostatic temperature control with a modulating gas valve. The controls and ignition of this griddle do not require an electrical connection. This griddle has a bull-nose front to ensure operator safety and knob protection. 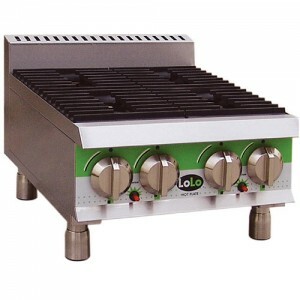 This countertop griddle also has cool-to-the-touch control knobs and a thermostatic gas control valve for each burner. Each of the 2 burners comes with an individual piezo ignition as well as pilot light access. The griddle also has an automatic pilot flame failure cutoff and gas pressure regulator.